The Kerala Governor has appointed Dr J Letha [1996/Ph.D./CE &1983/MT/CE, gold-medalist], as Vice Chancellor of Cochin University of Science and Technology (CUSAT). She is the 13th Vice Chancellor of CUSAT as well as the first woman to be appointed to the post. Dr Letha, who has more than 27 years’ of experience in teaching, research and administration had served as Principal, College of Engineering, Thiruvananthapuram, Dean, Faculty of Engineering, University of Kerala and as Registrar, TEQUIP. Dr Letha serves on the Board of Governors of IIT Madras. Dr. Subra Suresh (BTME-77), a Distinguished Alumnus, former Director of NSF (National Science Foundation, USA) and currently President, CMU, has added another feather to his already amply-decorated cap. He will be inducted into the Institute of Medicine in recognition of his research into cell mechanics related to malaria, blood diseases and certain types of cancer. Subra would be one of the only 16 living Americans to be elected to all 3 national academies — IOM, National Academy of Sciences and National Academy of Engineering. 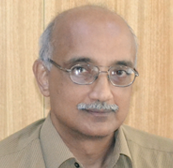 He is the first Carnegie Mellon faculty member to hold membership in all three academies.He has also been elected a fellow or honorary member of all the major materials research societies in the United States and India.In 2011, Suresh was awarded the Padma Shri (but we had awarded the DA even earlier in 1997!). Dr. A SeshagiriRao, 2006 Ph.D. in Chemical Engineering, has been selected for the INAE Young Engineer Award 2014. He had submitted his thesis in 2 years (with Prof. Chidambaram as Advisor) and published from his Ph.D. work 9 research papers in Journals. 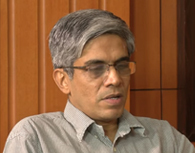 Dr.Rao is presently an Associate Professor in the Department of Chemical Engineering at NIT-Warangal. On Oct 17, Professor M. S. Ananth, Former Director, IIT Madras, launched MCMF (My Choice, My Future) – an online, indigenous, self-assessment form that has been developed through the collaborative efforts of faculty and alumni of the Department of Management Studies (DoMS), IIT Madras and BodhBridge Educational Services Private Limited, Chennai. BodhBridge is promoted by Mr. K. Balaraju, an M.S.-Entrepreneurship alumnus of DoMS, and was incorporated in 2009. The company was among the winners of the NASSCOM Emerge 50 national awards in 2011.The MCMF (My Choice, My Future) form enables respondents, mostly students in the higher secondary stage and beyond, to gain a better understanding of the underlying dimensions of their individual personalities characterized using twelve personality traits. It also enables them to map their modal personality dimensions to relatively more suitable career choices/opportunities.The MCMF form will be available for use in multiple Indian languages (Thamizh, Telugu, Hindi, Kannada, Malayalam, etc.) in order to enable students from various socio-cultural backgrounds to access it. MCMF will be available for free for a period of one month and can be accessed through www.btechguru.com.